"My drawing I hope will give you a good idea of a rattlesnake although the heat of the weather would not permit me to spend more than 16 hours at it." 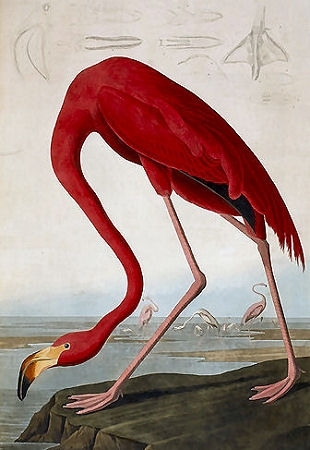 John James Audubon (1785-1851) was not the first person to attempt to paint and describe all the birds of America (Alexander Wilson has that distinction), but for half a century he was the young country's dominant wildlife artist. His seminal Birds of America, a collection of 435 life-size prints, quickly eclipsed Wilson's work and is still a standard against which 20th and 21st century bird artists, such as Roger Tory Peterson and David Sibley, are measured. 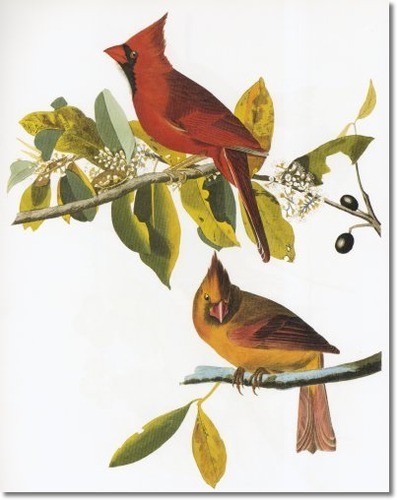 Although Audubon had no role in the organization that bears his name, there is a connection: George Bird Grinnell, one of the founders of the early Audubon Society in the late 1800s, was tutored by Lucy Audubon, John James's widow. 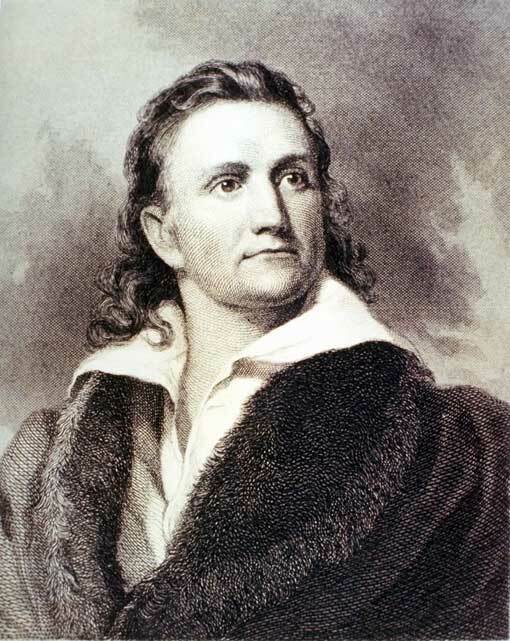 Knowing Audubon's reputation, Grinnell chose his name as the inspiration for the organization's earliest work to protect birds and their habitats. Today, the name Audubon remains synonymous with birds and bird conservation the world over. Audubon was born in Saint Domingue (now Haiti), the illegitimate son of a French sea captain and plantation owner and his French mistress. Early on, he was raised by his stepmother, Mrs. Audubon, in Nantes, France, and took a lively interest in birds, nature, drawing, and music. In 1803, at the age of 18, he was sent to America, in part to escape conscription into the Emperor Napoleon's army. He lived on the family-owned estate at Mill Grove, near Philadelphia, where he hunted, studied and drew birds, and met his wife, Lucy Bakewell. While there, he conducted the first known bird-banding experiment in North America, tying strings around the legs of Eastern Phoebes; he learned that the birds returned to the very same nesting sites each year. Audubon spent more than a decade in business, eventually traveling down the Ohio River to western Kentucky - then the frontier - and setting up a dry-goods store in Henderson. He continued to draw birds as a hobby, amassing an impressive portfolio. While in Kentucky, Lucy gave birth to two sons, Victor Gifford and John Woodhouse, as well as a daughter who died in infancy. Audubon was quite successful in business for a while, but hard times hit, and in 1819 he was briefly jailed for bankruptcy. 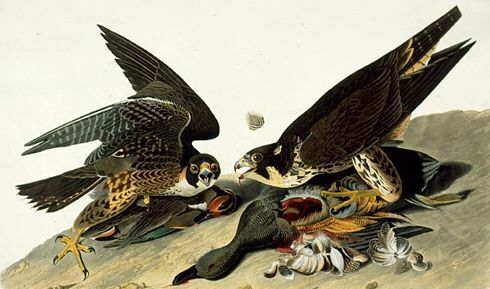 With no other prospects, Audubon set off on his epic quest to depict America's avifauna, with nothing but his gun, artist's materials, and a young assistant. Floating down the Mississippi, he lived a rugged hand-to-mouth existence in the South while Lucy earned money as a tutor to wealthy plantation families. In 1826 he sailed with his partly finished collection to England. "The American Woodsman" was literally an overnight success. 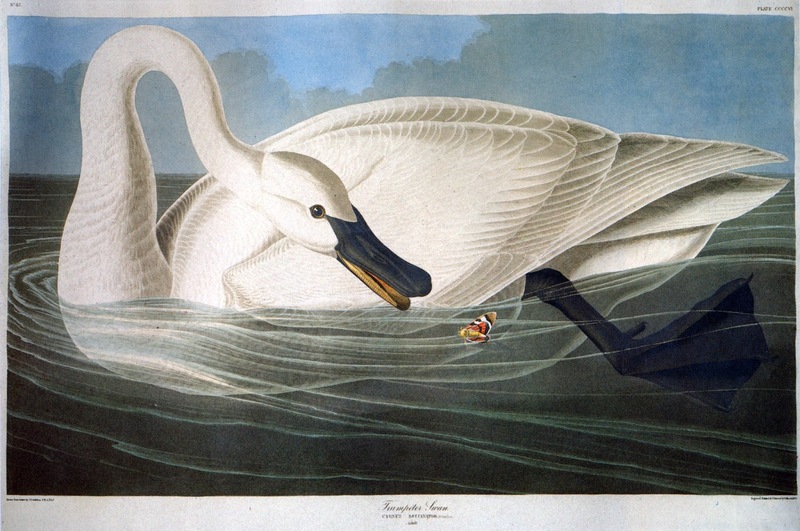 His life-size, highly dramatic bird portraits, along with his embellished descriptions of wilderness life, hit just the right note at the height of the Continent's Romantic era. Audubon found a printer for the Birds of America, first in Edinburgh, then London, and later collaborated with the Scottish ornithologist William MacGillivray on the Ornithological Biographies - life histories of each of the species in the work. 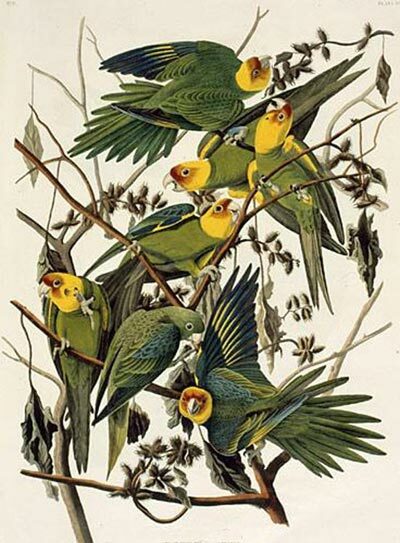 The last print was issued in 1838, by which time Audubon had achieved fame and a modest degree of comfort, traveled this country several more times in search of birds, and settled in New York City. He made one more trip out West in 1843, the basis for his final work of mammals, the Viviparous Quadrupeds of North America, which was largely completed by his sons and the text of which was written by his long-time friend, the Lutheran pastor John Bachman (whose daughters married Audubon's sons). 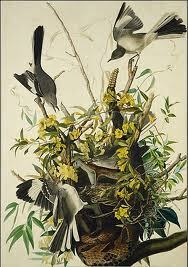 Audubon spent his last years in senility and died at age 65. He is buried in the Trinity Cemetery at 155th Street and Broadway in New York City. Audubon's story is one of triumph over adversity; his accomplishment is destined for the ages. He encapsulates the spirit of young America, when the wilderness was limitless and beguiling. He was a person of legendary strength and endurance as well as a keen observer of birds and nature. Like his peers, he was an avid hunter, and he also had a deep appreciation and concern for conservation; in his later writings he sounded the alarm about destruction of birds and habitats. It is fitting that today we carry his name and legacy into the future.